There is a kotatsu in the middle of the living room, and the whole family gather around it with their lower bodies tucked in for warmth. There is an extra heater in the corner of the room as well, for our upper bodies. A basket of bright orange mikan is placed on top of the kotatsu for everyone to enjoy, and the peels of the mikan are left on the kotatsu right next to the cups of green tea or genmaicha being shared. It is just tea, because all the beer and sake were already consumed during dinner time before the countdown. The family then chat and chat with the TV on. The TV is showing, of course, the good old Kouhaku (the singing battle between the red and the white teams), but no one is paying attention to it until someone’s favourite musician is on. In fact, for the ones we dislike in conformity, we would even mute the TV and proceed to make fun of or complain about the musicians with reasons why we don’t like them, just for good family fun. 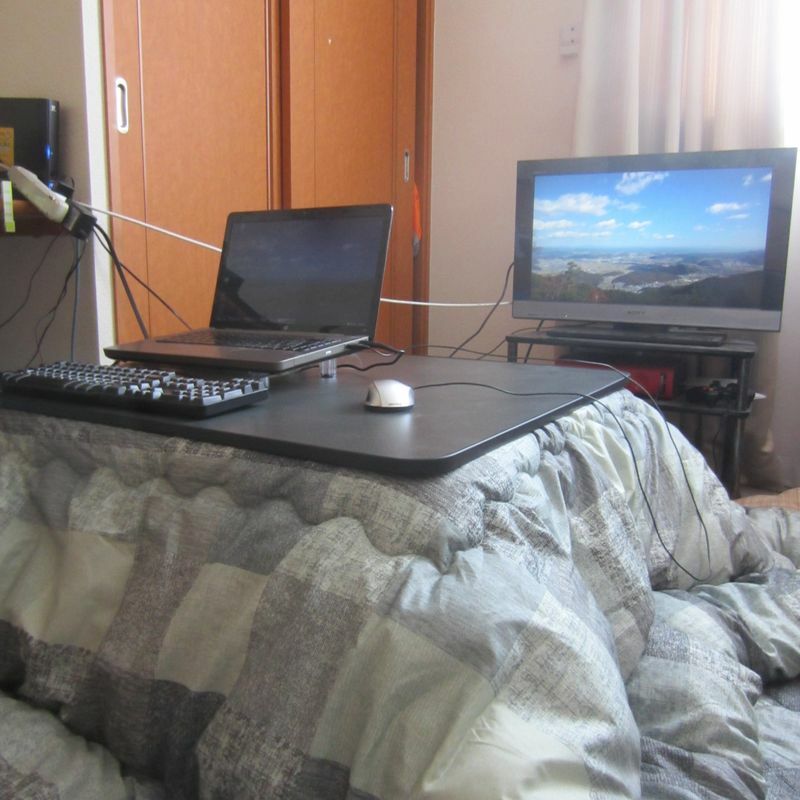 When someone gets sleepy, that is fine, because they can take a quick nap in the kotatsu. Others will wake them up right before the actual countdown. Minutes before the countdown, everyone would wake up and get ready to say the first “Happy New Year and let’s enjoy each other’s company this year as well” to everyone around the kotatsu, even though they are family members. The point of being in the kotatsu, really, is just to have the family gather around it. The kotatsu becomes the center piece that everyone automatically becomes drawn towards, both for the warmth and for the gathering. Okay, maybe for the TV too. Before I came to Japan, this had always been the image I had. 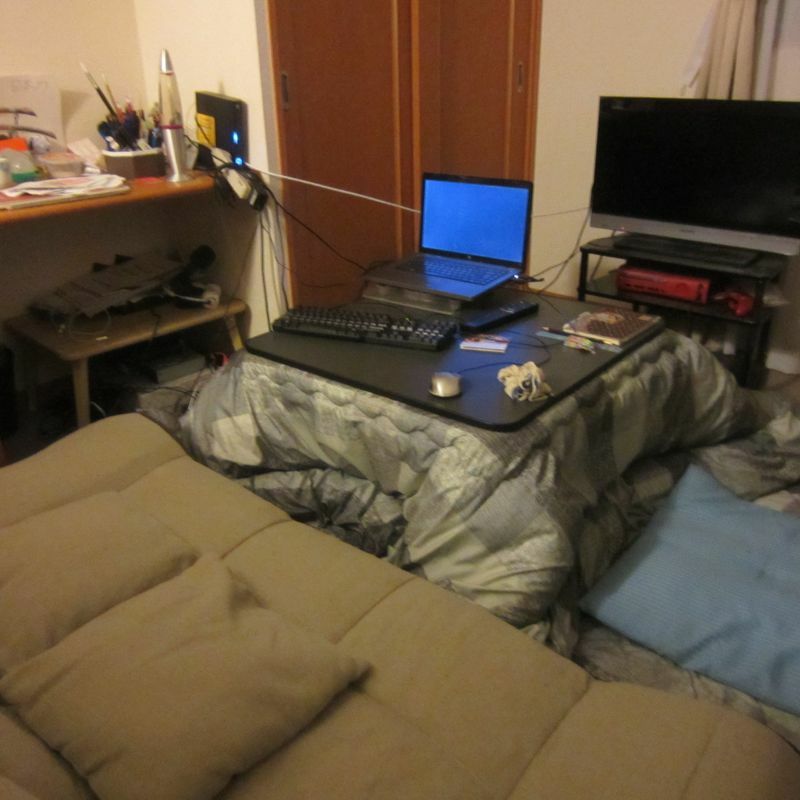 After coming to Japan, I was trying to recreate that scene in my little apartment by myself, minus the kotatsu because my small room could fit only my futon laid out. Oh, and minus the family part, too. I have not had a chance to spend New Year's with my family ever since I came to Japan years ago. The ticket prices during this season are just way too expensive. While they are back home counting down, I am here by myself, hiding in the futon with a drink and the TV on. New Years is usually one of the times when homesickness hits the hardest. It was not until I started getting invited by co-workers to join their family for the New Year's gathering that I felt like I was able to “celebrate” the end of another year, and experiencing it in person confirms to me that the image was right. In fact, sometimes it is more than just mikan, but the family would bring out some supreme fruits they received from their families and friends, such as some strawberries or the best green grapes I have ever eaten. 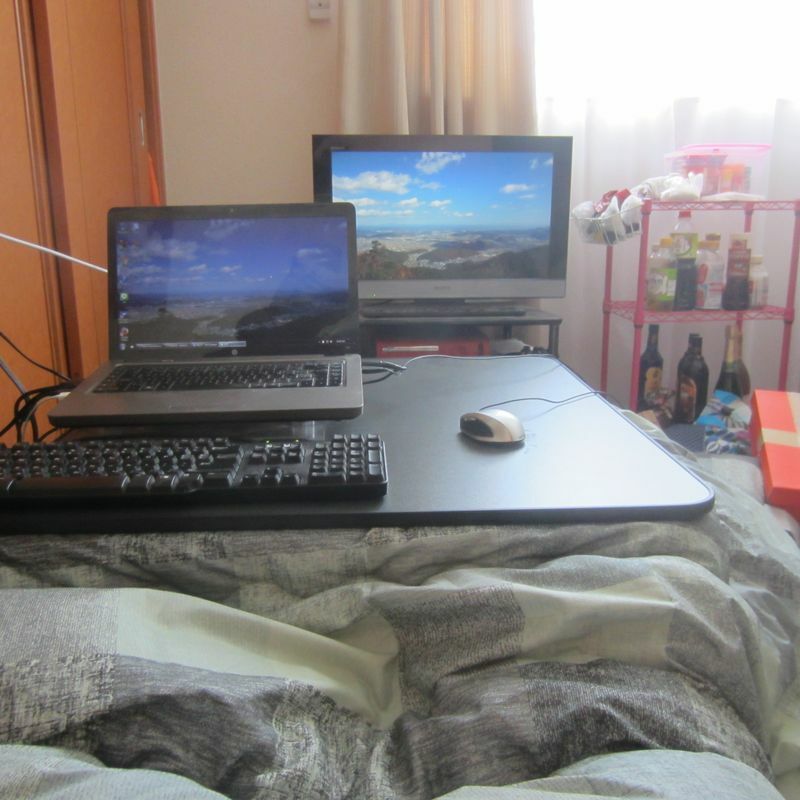 After moving to a different city here in Japan, I was back to jumping into the next year alone again, but I made the move to purchase a kotatsu almost immediately, so that when I eventually got a girlfriend, we were able to enjoy that with just the two of us. 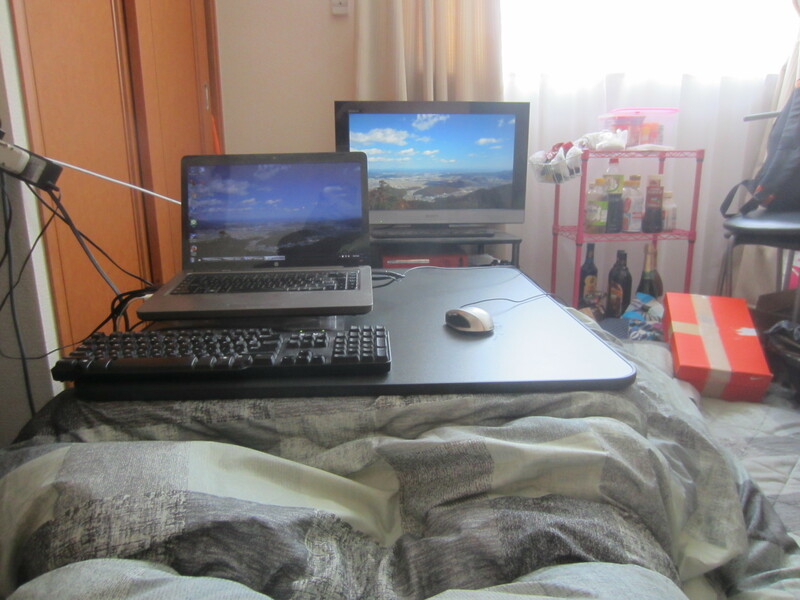 Nowadays, whenever someone asks me where I usually like to go during New Year's or even during the winter, my default answer is always “inside my kotatsu and nowhere else." It is not only because it is cozy and keeps me away from the cold, but also the idea of the family countdown during New Year's that is and will always be my ideal image of the loveliest and warmest way, both my body and my heart, to enter a new year. So this year too, I will be hiding in my Kotetsu like a cat from the New Year's countdown until the holiday is over. Happy New Year to you all!